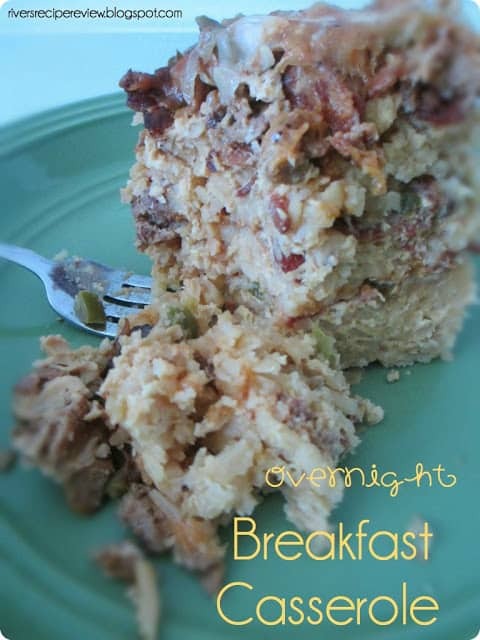 There is nothing better than waking up to the smell of breakfast in the crockpot! This was so tasty and was able to feed 5 guys with leftovers. I also made my famous sticky buns. Things I did differently: I added turkey sausage to it. Things I would change next time: The potatoes were soft. Probably because you pour the egg over them. I am going to try using a different type of potato (I used shredded) or scrambling the eggs and put them in between the layers. Will I make it again: Yes, trying those changes. 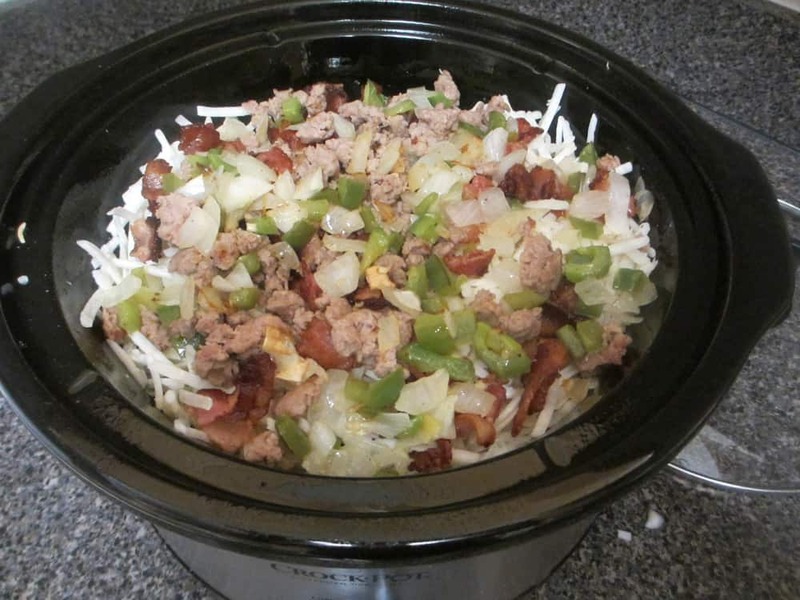 Spray crock pot with non stick cooking spray. Cook bacon until crisp, chop then set aside. Saute onion, bell pepper and garlic for 5 minutes. Place 1/3 of hashbrowns on the bottom. Add 1/3 bacon, 1/3 onion, green pepper, and 1/3 cheese. 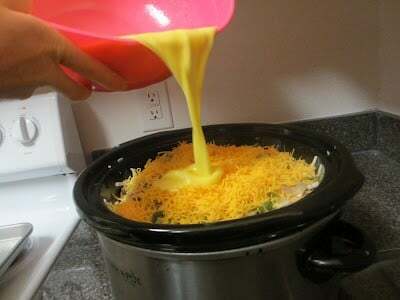 Continue layering and end with cheese. In large bowl mix eggs, milk, salt and pepper. Pour over ingredients. Cook on low for 8-10 hours. When done thermometer should read 160 degrees F.